The Anglo-Irish Treaty proposed the setting up of the Irish Free State; a self-governing dominion of the British Empire. Under the terms of the treaty, Northern Ireland could opt out of the Irish Free State, which would trigger a boundary commission to determine the border with Northern Ireland. The treaty was the result of months of negotiation between a delegation from the Dáil and the British government (the prime minister of Northern Ireland refused to attend). Prime minister, David Lloyd George wanted Ireland to remain within the British Empire and wanted the Dáil to accept the Northern Ireland Parliament. 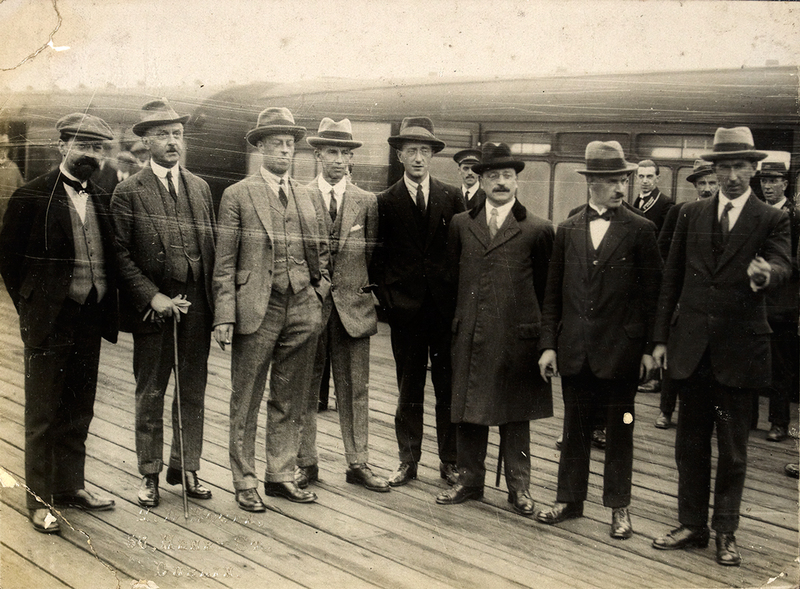 The Irish delegation, led by Arthur Griffith, wanted a 32 county Irish republic. Lloyd George exerted more and more pressure on the Irish delegates and on the 6th December the treaty was signed. Many in the Dáil bitterly disapproved the terms that Arthur Griffith and Michael Collins had agreed to in London. Éamon de Valera, president of the Dáil resigned in protest at the treaty. Members of the Dáil split into pro- and anti-treaty factions, this division would soon lead to civil war in Ireland. 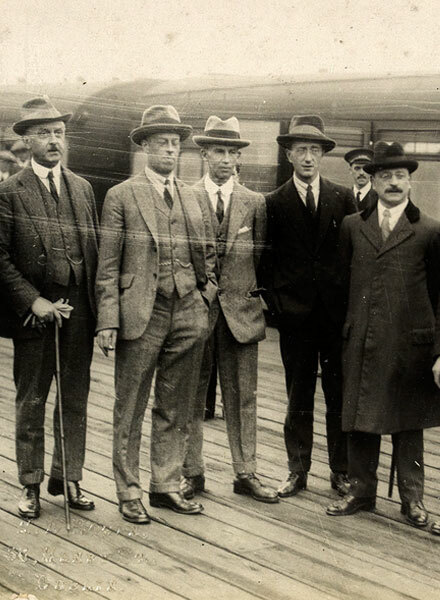 Four of the signatories of the Anglo-Irish Treaty, the other treaty signatory was Michael Collins.